Square Enix seeking battle and level planners. Final Fantasy VII Remake will be a “new creation not limited to a simple remake” that aims to “surpasses the original” game, according to a new job listing seeking planners to work on the project. Not a “remake.” “Creation” is the mission we were given. 1997. With dedicated fans and the like even now 20 years after release, it is no exaggeration to say that Final Fantasy VII, which boasts over 11 million total shipments and download sales in the worldwide market, is the masterpiece of the series loved by fans all over the world. And now we have announced the release of a Final Fantasy VII remake. Due to the huge reaction, we are aiming at nothing less than a “new creation” not limited to a simple remake. It should be noted that this is an internal production. After 20 years, the staff behind the original Final Fantasy VII, who are top-rankers in the industry even now, are reuniting. A project to create “a title that surpasses the original” is starting full-scale. Take on the even more difficult challenge of creating a new title, in a certain sense, alongside top-level creators—. It is a job that will naturally impact growth as a creator, as well the world. Preserve the existing concepts users hold while creating a new world view. A project that can only be accomplished here is waiting for you. Final Fantasy VII was a major hit all over the world and changed the scene of gaming when it launched. 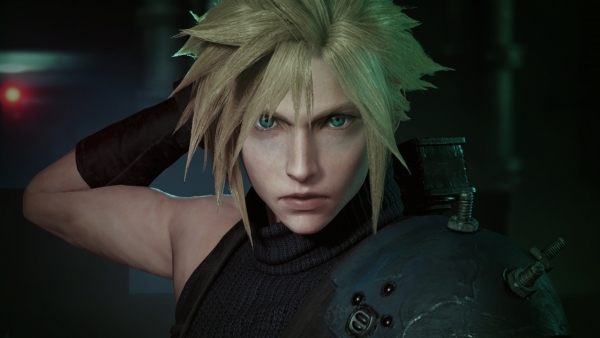 Final Fantasy VII Remake, which brings new life to the title after 20 years, is a project that is attracting attention from both inside and outside of the industry. Our goal is “the realization of game with quality that surpasses the original.” For that reason, we are continuing the recruitment of internal development staff. Planning and specifications creation of a battle system that combines commands and action. Devising of ideas such as enemies and bosses. Construction of a workflow for location production. Devising of ideas for the level designs of each location. Implementation of data in Unreal Engine 4. Create a “new Final Fantasy VII” not limited to a simple remake as a new Final Fantasy with action elements added to the traditional strategy, and deliver your creativity to the world. 1st Business Division is the department [of Square Enix] working on Mobius Final Fantasy and Final Fantasy VII Remake. In addition to staff that worked on the original Final Fantasy VII, staff that worked on previous generations of the Final Fantasy series are joining the team one after the other. This is the chance to work with us on a “new Final Fantasy creation” not limited to a remake.